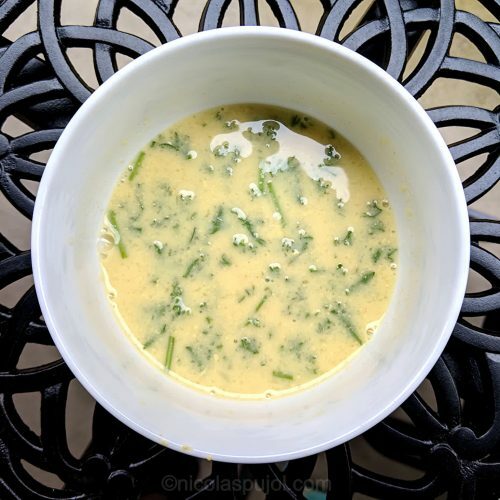 This French lemon dressing is part of the oil-free sauces on this site and makes a tasty companion to your salads without the use of olive oil. What is a WFPBNO salad dressing? Plant-based: I am starting with the middle letters of the acronym, because it is the foundation. Plant-based foods means there is minimal to no use of animal products. It is subject to interpretation, in that some people consider plant-based to be a majority of vegan sources with a few animal ones allowed, like adding a bit of honey to a dish. Others consider plant-based as a synonym to veganism. Whole Food: isn’t plant-based, whole food by default? In most cases, it should be, but there are more and more “vegan” versions of regular foods which are highly processed, sweetened. Think, for example, about overly sweetened and refined cereals, or even candies made of plant sources. None of these are whole foods, and you want to avoid them. No oil: pioneer surgeons in the prevention of heart disease, like Dr Dean Ornish and Dr Caldwell Esselstyn, recommend a WFPBNO, which is, minimizing overall fats. Even olive oil is not indicated. So yes, this French dressing meets the WFPBNO criteria, in that there is no added oil. Now, most ingredients naturally contain some percentage of fat. Low-fat is not the same as fat free. Now, let’s talk about how it tastes. 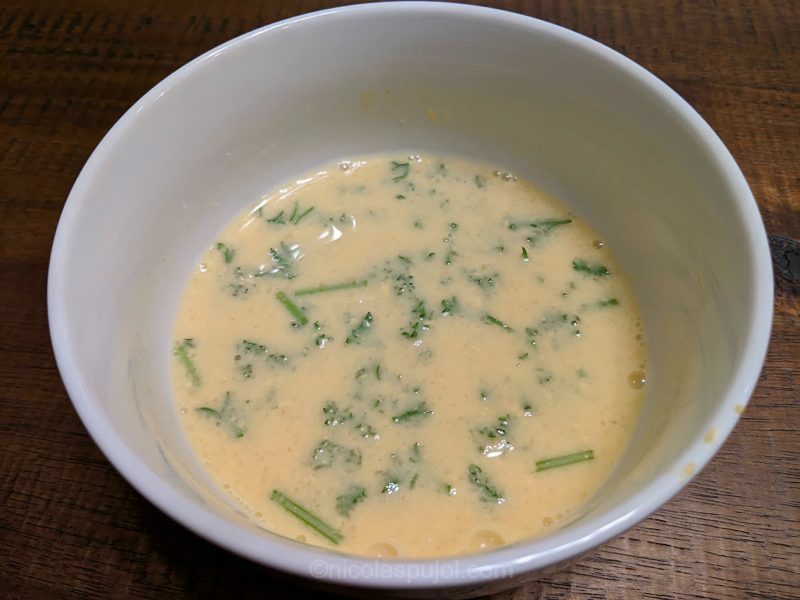 There is not much difference, once mixed in with your favorite vegetable, between this French lemon dressing and the classic one with olive oil. 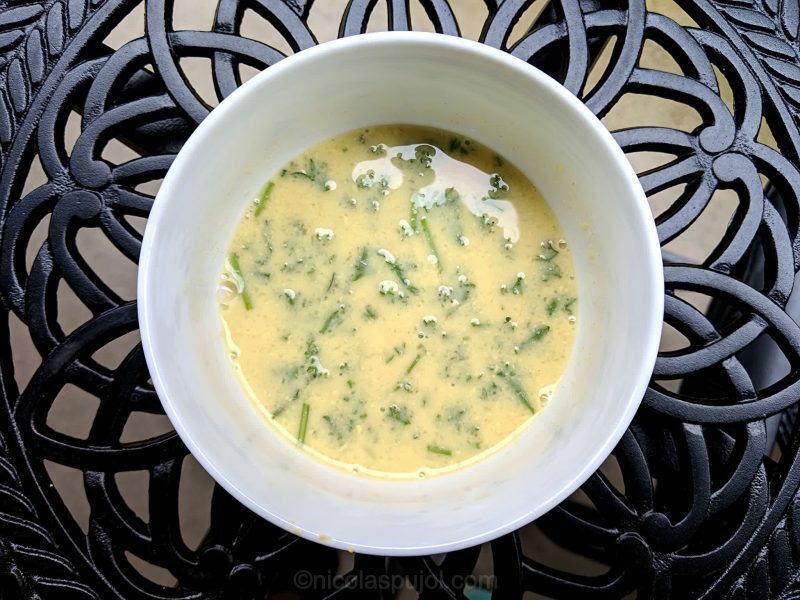 Mustard and garlic give a nice spice, lemon provides plenty of juice and citrussy acidity. Last, fresh parsley adds color and extra flavor to the entire dish. You can add a bit of salt, or skip it altogether. My experience with dressings with fresh lemon juice tend to no need a lot of salt, if any, and many mustards already contain some amount of sodium. The dressing pairs well with most salads: grated carrots, lettuce, or the one from today, sweet potato and cucumber salad. 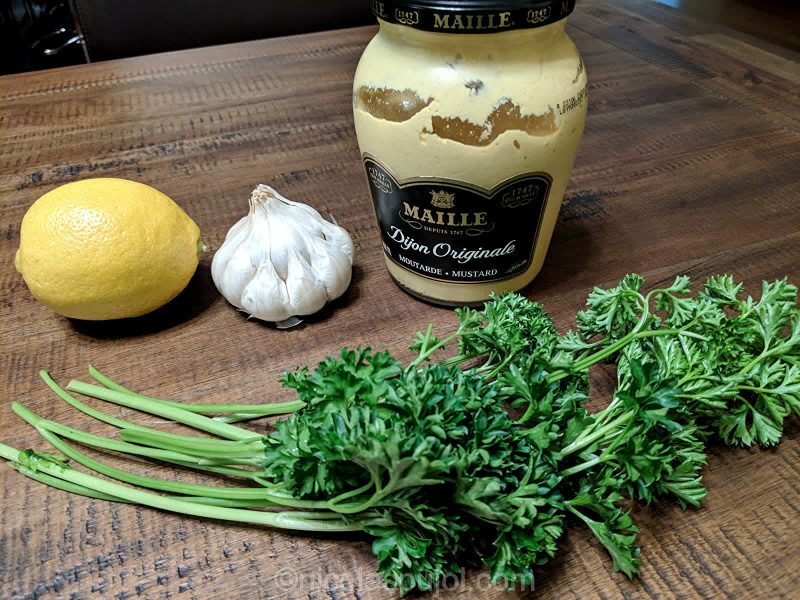 This oil-free French lemon dressing adds flavor to your salads, using fresh garlic, parsley, and French mustard. Enjoy with lettuce, carrots or your favorite vegetables. 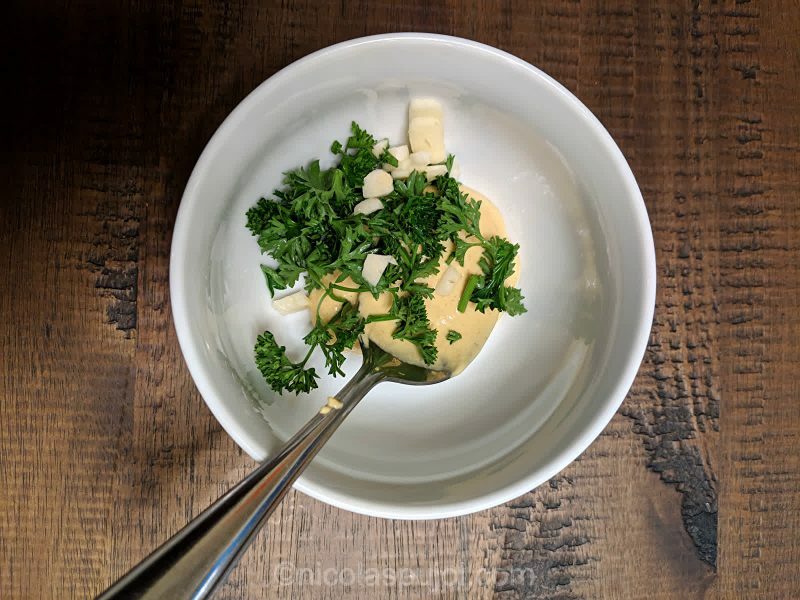 Place the mustard in a bowl, add the thinly sliced garlic and parsley. Squeeze the lemon juice. Pour on top and mix well. Optionally add salt, mix again. Add the dressing to your favorite salad ingredients.